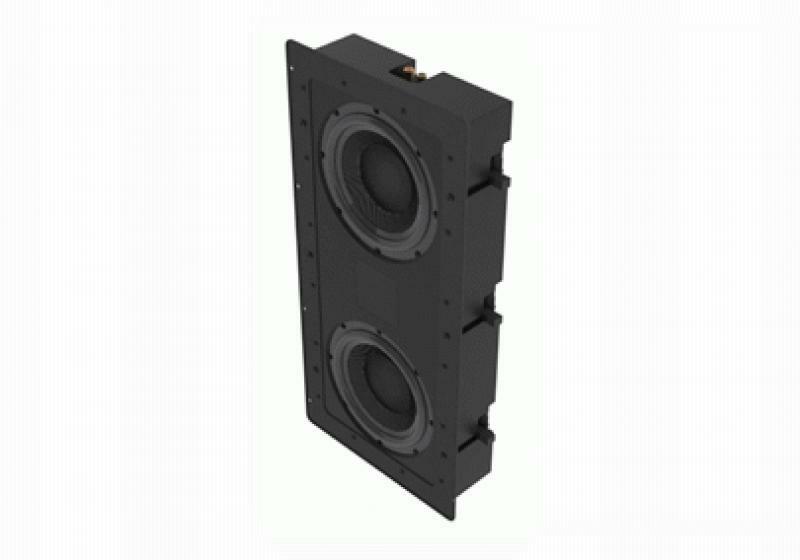 Sunfire just announced the introduction of the all-new Sunfire HRSIW8, an in-wall dual-driver 8" subwoofer that features the brand's patented Stillbass anti-shake technology that allegedly eliminates mechanical vibration, improving bass definition while helping to contain the bass to the room in which it is mounted. The Stillbass technology, coupled with Sunfire's trademark High Back-emf designed woofers, helps provide bass from a subwoofer that easily retrofits into a standard 16" on-center stud bay. • Explore more reviews in our In-Wall Speaker Review section. The HRSIW8 features two custom-designed 8" long-throw woofers using ultra low mass fiberglass cones in a sealed cabinet that measures 12.2"W x 24.7"H x 3.75"D, and only requires a wall cutout of 10.6"W x 23.5"H. With six built-in dog-toggle style wall clamps it is a perfect solution for both retrofits and new construction jobs, easily fitting in any standard 16" on-center stud bay. A wire channel is provided on the rear of the enclosure to avoid pinching the wire between the enclosure and the back of the drywall inside the opening. Easily removable magnetic grilles and a cutout template for easy installation are provided. The HRSIW8's external rack-mount amplifier is an evolution of the Sunfire digital amplifier used in the company's SDS subwoofer line. Using Sunfire's Frequency Filtration Design (FFD) for high fidelity bass, the amp delivers 520W of power with near zero distortion. A wide range of filtering adjustments are included as well as DSP with room equalization and a remote control that provides one-touch access to preset equalizer modes.